These past two months have been a whirlwind of travel, training, and presenting (which also explains my neglecting this blog). In September, I attended MTW's LEAD conference in Izmir, Turkey. The conference takes place every two years and calls together MTW's team leaders from all over the world. This year was a historical meeting, because national partners were also a part of the leadership gathering. What's a national partner? Think indigenous leader. Our goal as a mission isn't for national churches to be forever dependent upon Western missionaries to lead them. The old adage about teaching a man to fish is a good one. Ultimately we want to see Japanese leaders leading Japanese churches, Africans leading African churches, and Germans leading in Germany (you get the point). Our goal is always to be working ourselves out of a job, passing the baton, and moving on to new, unreached areas. Of course, realizing such a goal can take a long time - even generations in a country like Japan. This isn't a new strategy for MTW. Missionaries have been pouring themselves into national church leaders for decades. But this LEAD conference was particularly exciting, because we have reached a point where missionaries and national leadership were able to work side by side at the highest levels of our organization to help define our vision for the future. What a milestone! For those of you who may wonder if we're making progress in the Great Commission, I'm happy to report that we are! The Gospel is gaining strength all over the world, and the baton is being passed successfully from missionaries to national leaders. 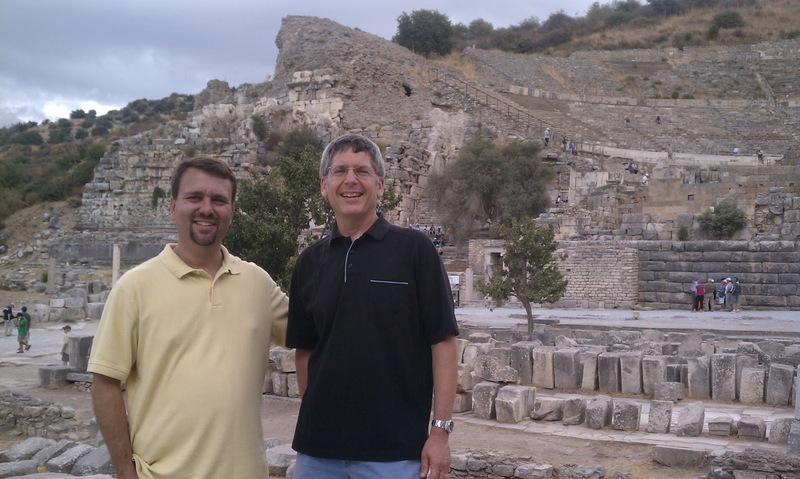 The highlight of the week - for me - was the time I spent with our team leader, Wayne Newsome. Wayne and Amy have been hard at work in Nagoya for almost two decades. During that time, their team has established a growing church, a seminary (now overseen by a separate MTW team led by Dr. Michael Oh), and a Christian Academy (which has also been successfully handed off for outside oversight). The team's vision for the future is to establish a network of new Gospel-proclaiming churches throughout the city. Gina and my role will involve leading one of those new church plants and helping to shepherd and develop leaders in the other new sites. It was exciting to interact with Wayne as we looked at a map of Nagoya and talked about unchurched communities where there will soon be a Gospel witness! 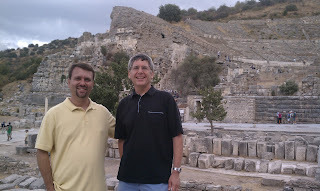 Another high point of the week was the day we spent in the ancient city of Ephesus (remember Paul's letter to the Ephesians?). If you'd like to see some photos of the city, you can view them on my Picasa page located here. If you just can't get enough of these, volume 2 is located here!